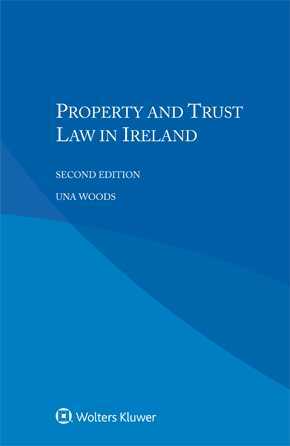 Derived from the renowned multi-volume International Encyclopaedia of Laws, this practical analysis of the law of property in Ireland deals with the issues related to rights and interests in all kinds of property and assets – immovable, movable, and personal property; how property rights are acquired; fiduciary mechanisms; and security considerations. Lawyers who handle transnational disputes and other matters concerning property will appreciate the explanation of specific terminology, application, and procedure. An introduction outlining the essential legal, cultural, and historical considerations affecting property is followed by a discussion of the various types of property. Further analysis describes how and to what extent legal subjects can have or obtain rights and interests in each type. The coverage includes tangible and intangible property, varying degrees of interest, and the various ways in which property is transferred, including the ramifications of appropriation, expropriation, and insolvency. Facts are presented in such a way that readers who are unfamiliar with specific terms and concepts in varying contexts will fully grasp their meaning and significance. The book includes ample references to doctrine and cases, as well as to relevant international treaties and conventions. Its succinct yet scholarly nature, as well as the practical quality of the information it provides, make this book a valuable time-saving tool for any practitioner faced with a property-related matter. Lawyers representing parties with interests in Ireland will welcome this very useful guide, and academics and researchers will appreciate its value in the study of comparative property law.